After the Yellow Water Cruise we drove through Kakadu National Park to the township of Jabiru, where we stayed at Gagudju Crocodile Holiday Inn. As you can see the hotel is shaped like a crocodile, reception and restaurant are in the head and the rooms are along the sides with a swimming pool in the middle. 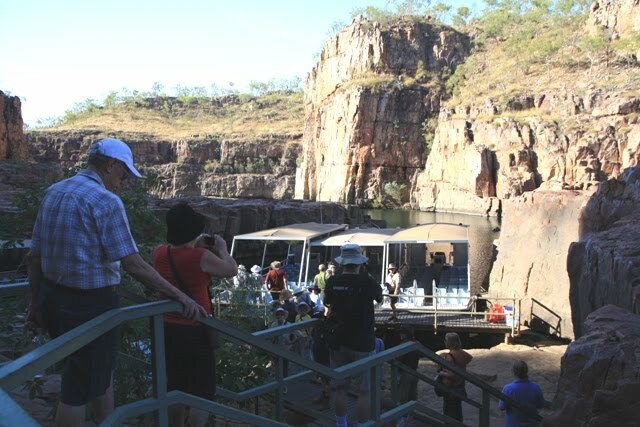 Early the next morning we took a scenic flight over Kakadu NP and Arnhem Land Plateau. 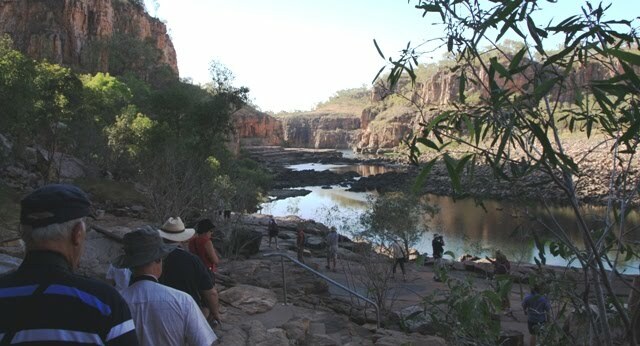 Kakadu's traditional aboriginal owners, have leased their land to the Director of National Parks to be jointly managed. 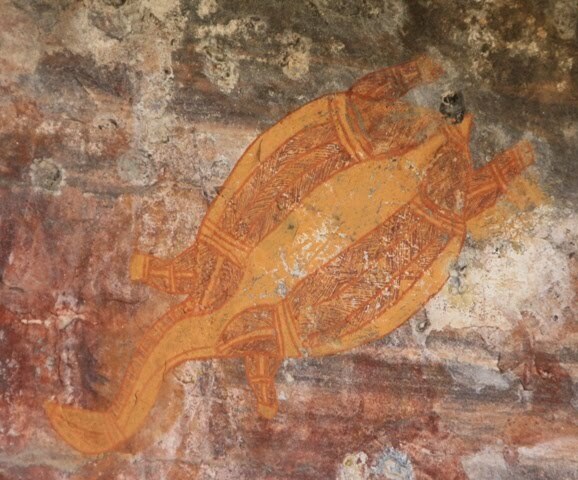 The Bininij/Mungguy people have lived and cared for this country for tens of thousands of years. 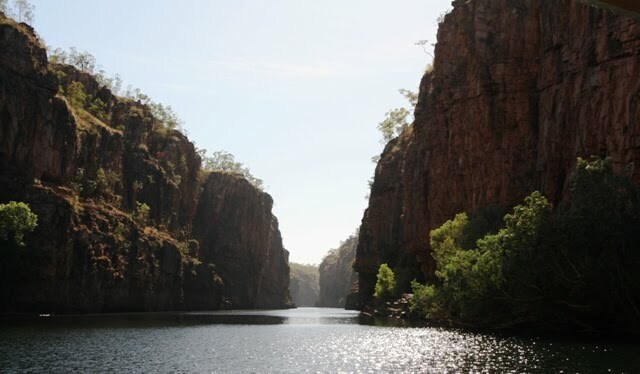 Their spiritual connection with the land is globally recognised in Kakadu's World Heritage listing which honours one of the oldest living societies on earth. We flew past the Ranger Uranium Mine which borders Kakadu. It is one of the world's leading Uranium producers. 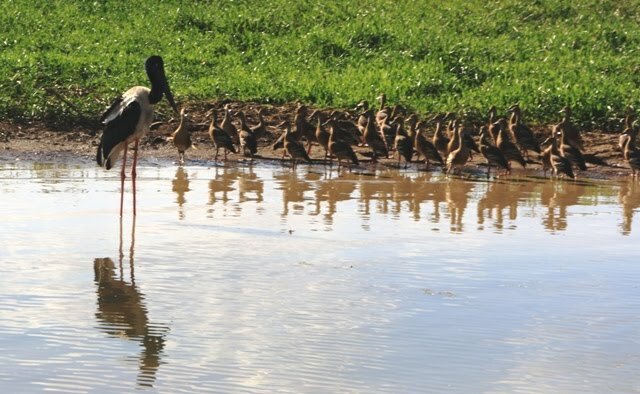 The land is leased from the original aboriginal owners and will be rehabilitated and become part of Kakadu when it finishes production around 2012. If you strain your eyes you may see a natural arch near the left hand corner. 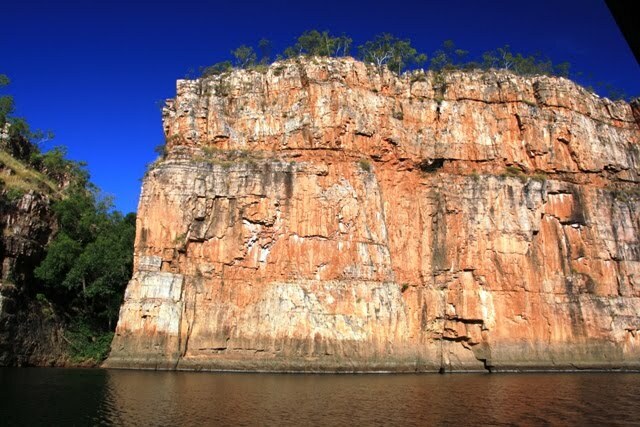 The dominant sandstone escarpment of the Arnhem Land Plateau ranges in height from 30m to 300m. It is criss crossed with gorges where monsoon forest grow. 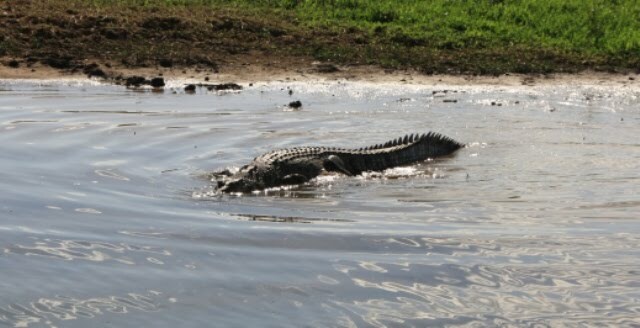 The river system is called South Alligator River and West Alligator River named by an early explorer who thought he saw alligators but in fact they were crocodiles. 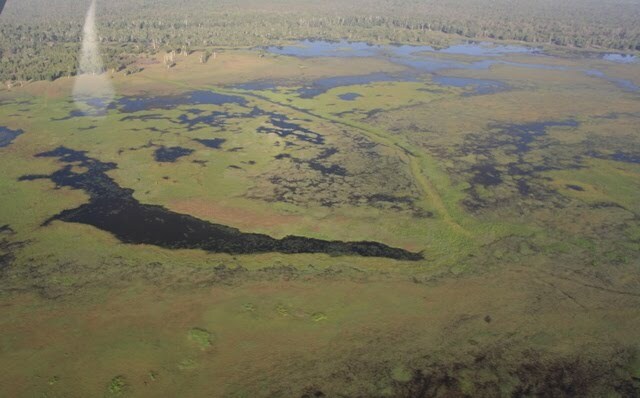 In the wet season these rivers overflow and cover the lowlands in water. ..birds flock in clouds and the crocodiles lurk beneath. 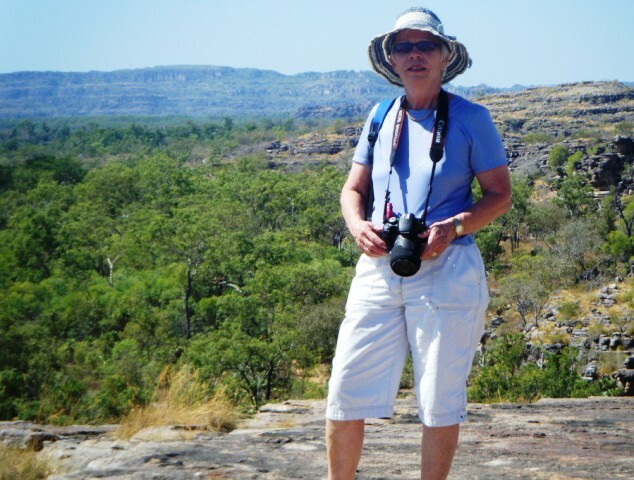 After the flight we drove to Ubirr Rock which is an important aboriginal historic area. 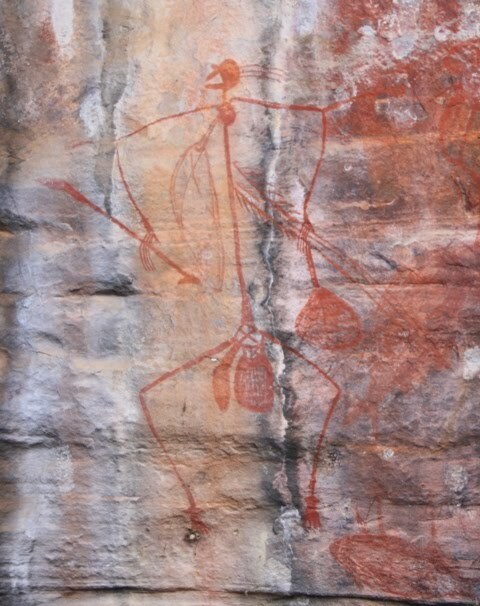 The rock art represents one of the longest historical records of any group of people in the world. 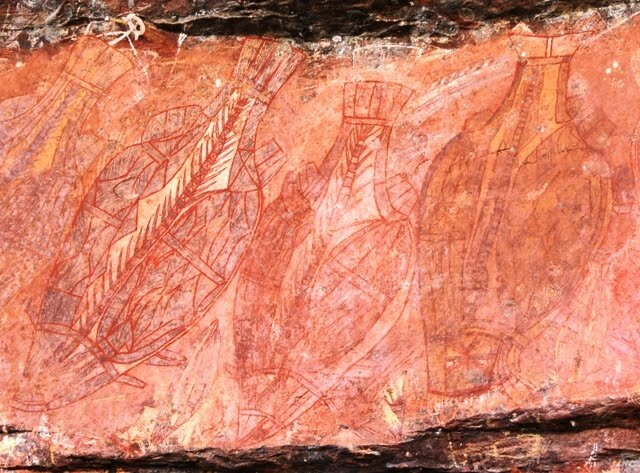 ...many earlier paintings are covered by more recent ones. 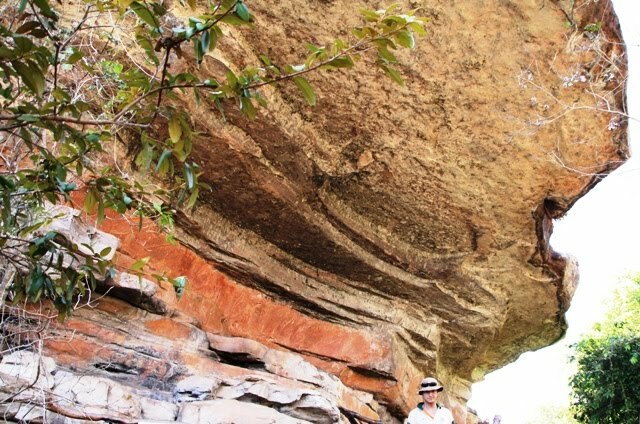 Many pictures tell of the Creation Ancestors and the changes in the landscape over thousands of years. 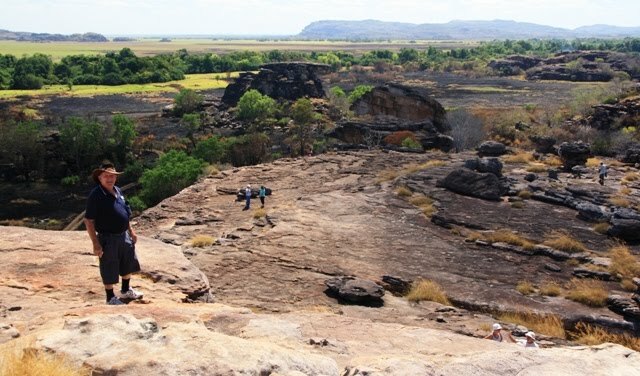 We climbed up to the top of Ubirr Rock where we had 360 degree views of this ancient land. ...floodplains. 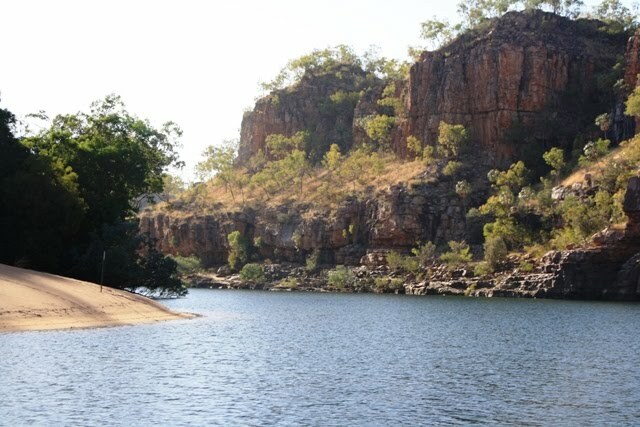 Then it was time to head for Darwin, our destination, but there was still more sightseeing to do. 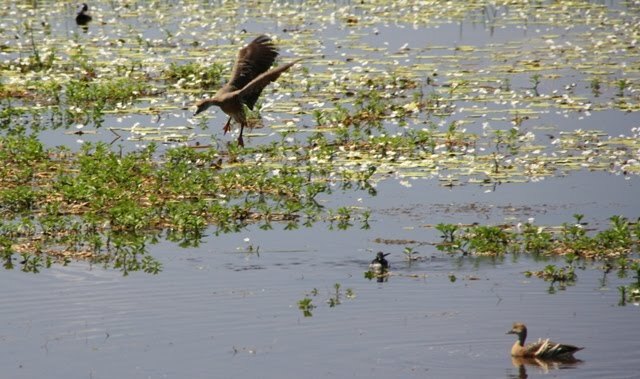 We stopped for a picnic lunch at Mamukala Wetlands Bird Hide. There were hundreds of birds. 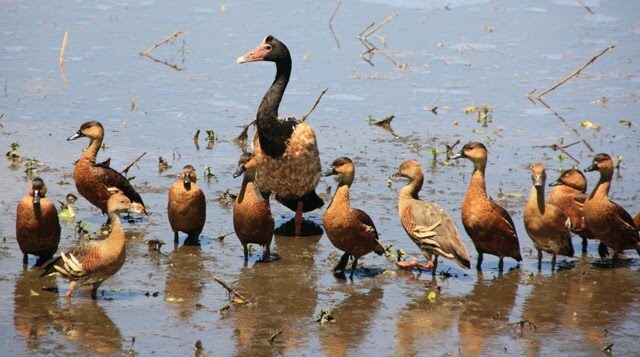 A Magpie Goose fussing over a gang of Plumed Whistling Ducks. 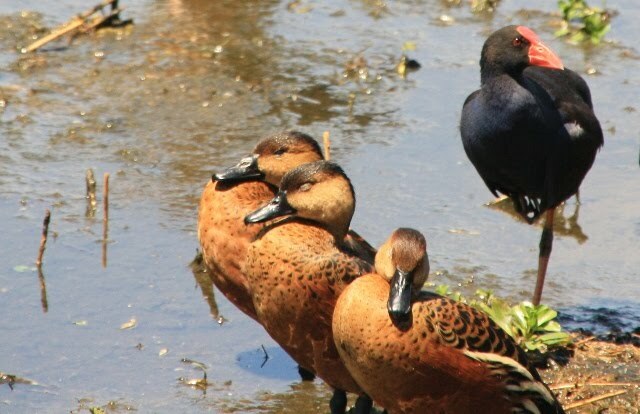 The Three Wise Ducks hear nuttin', saw nuttin' and said nuttin' to the Swamphen policeman. I'm not sure what it is. 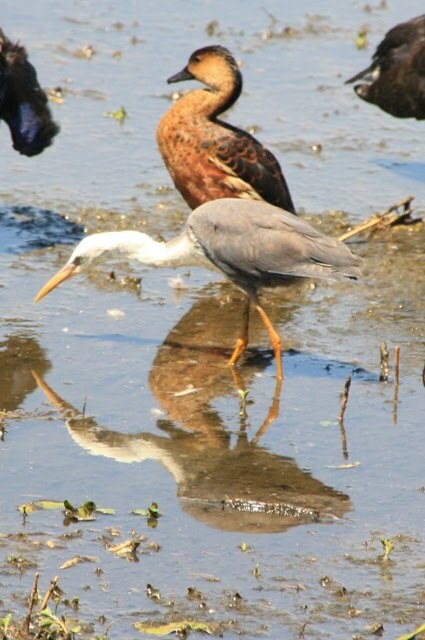 Some kind of heron I think. 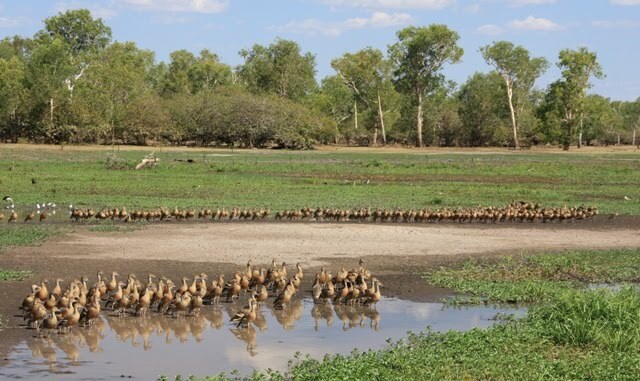 As the duck landed we took off for Darwin. 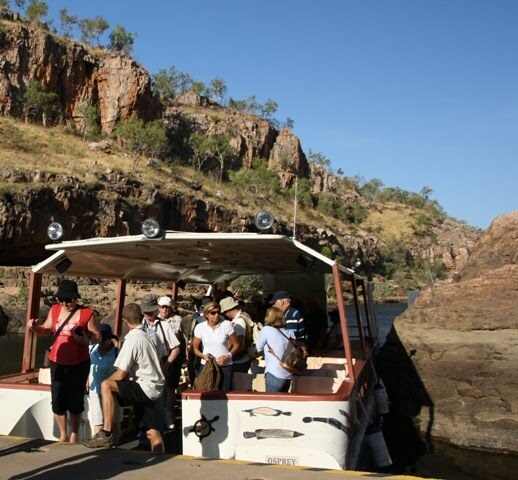 After cruising Katherine Gorge we drove north to Kakadu National Park. 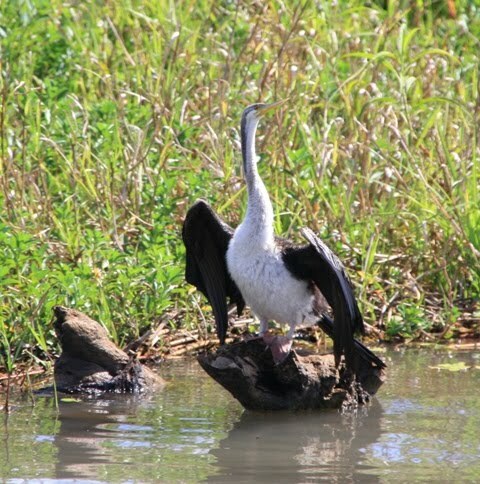 At Cooinda we boarded another boat for a cruise on the Yellow Water Billabong, an extensive wetland area at the end of Jim Jim Creek. 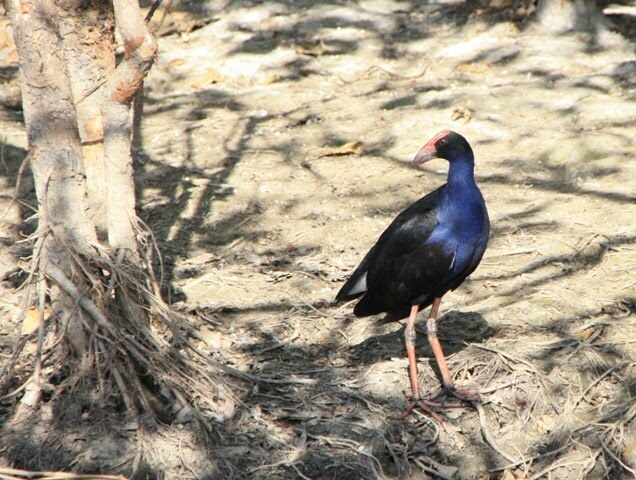 It is famous for its wildlife and especially birdlife. Egrets coming in to land. Checking out the water's edge for crocodiles. 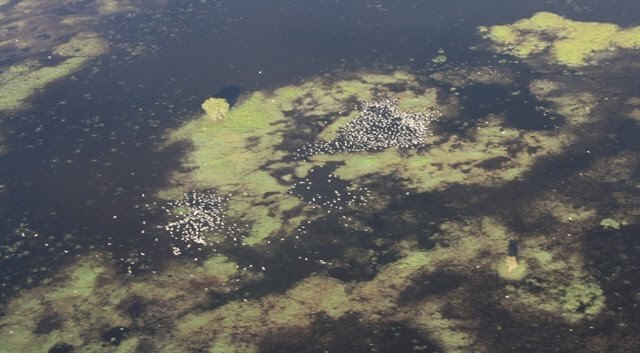 Hundreds and hundreds of wood ducks line the billabong like soldiers. Wood ducks with a headless Radjah Shelduck in the background. The big Magpie Goose tells the ducks to follow him for a "good time." 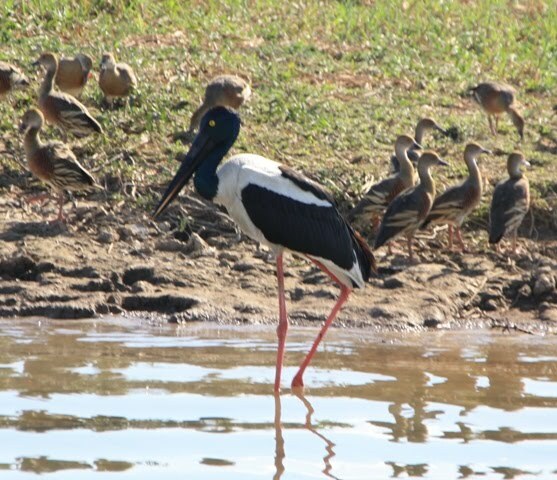 The Jabiru is giving the ducks a lecture about not following Magpie Goose for a "good time" but to get on with the job of entertaining tourists. 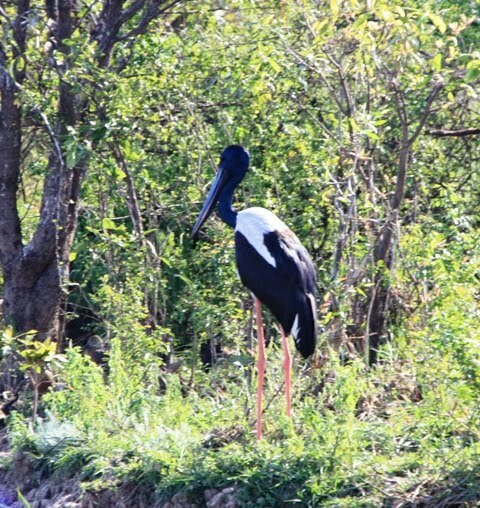 The huge Jabiru (Black-necked Stork) is the most beautiful bird. 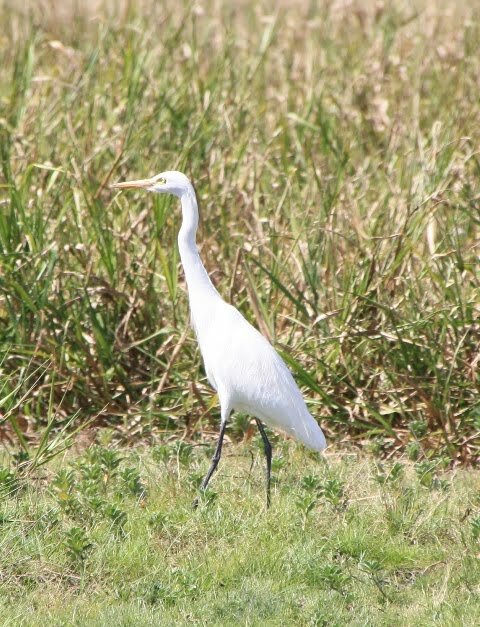 This is a female with a yellow eye. 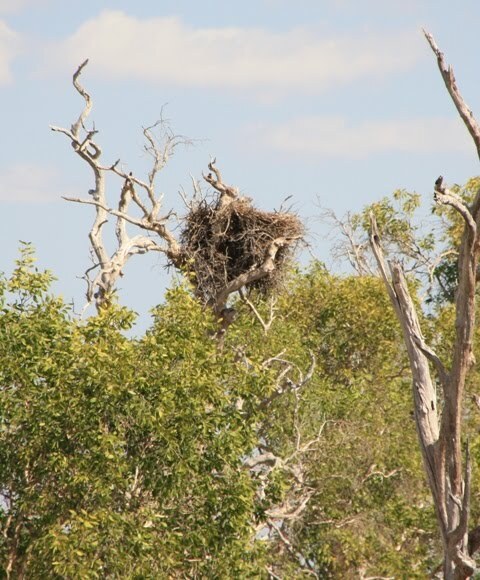 Don't know who lives here.......could be an Osprey Eagle. These are cormorants, could be a Pied Cormorant. We nicknamed them "Look at Me birds" as they appeared to be showing off but they are probably cooling off or drying their wings. 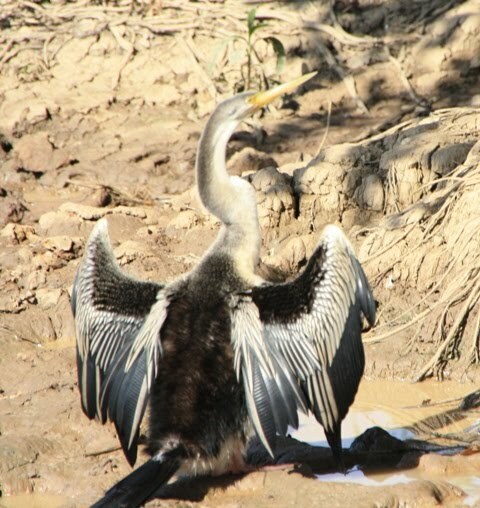 Now Mr Cormorant needs to be careful showing off to the tourists because Mr Crocodile is close by. Crocodiles are the world's largest living reptiles. They are also one of the most ancient having existed unchanged for nearly two hundred million years. Two species occur in Australia, the fresh water and estuarine or salt water crocodile. The fresh water crocodile lives in creeks, rivers and pools.They are only found in Australia. They have a longer, sharper snout and are generally shy but can become aggressive if disturbed. 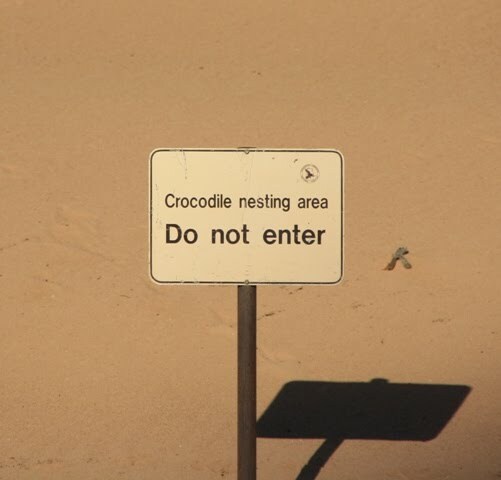 The estuarine crocodle is aggressive. 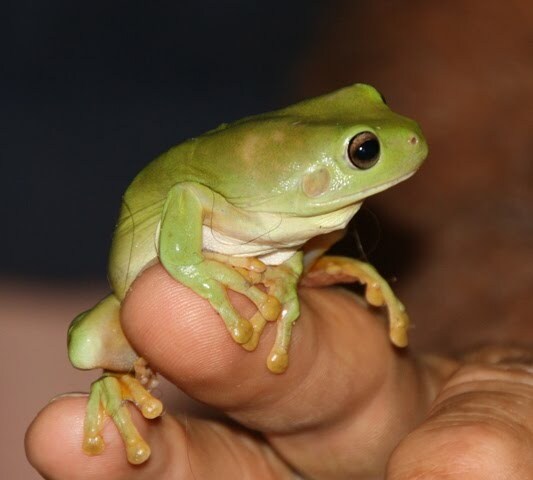 They are also found in India, South East Asia and Papua/New Guinea. 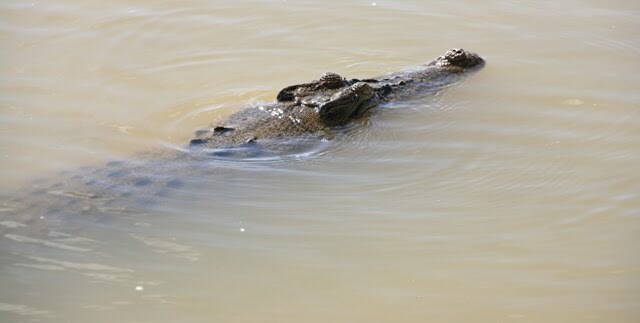 These pictures are of the dangerous estuarine crocodile. ..ahem...Mr Boat driver I think its time to move on. 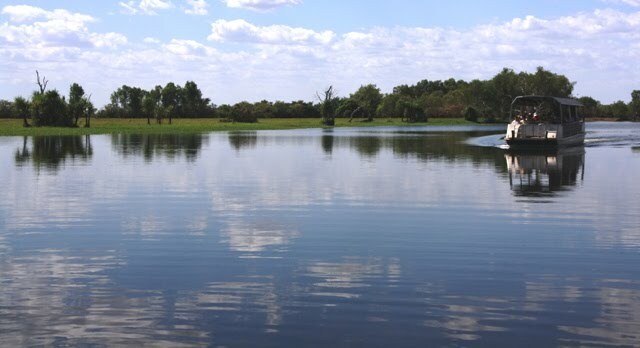 To glide through the billabong and get closer to the crocodiles see Bill's video HERE. 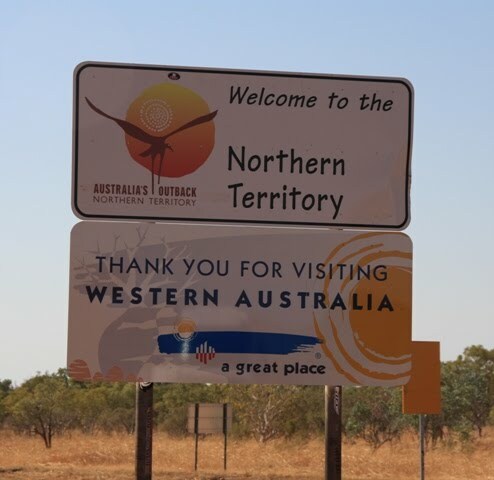 We had to be up early and bags outside ready for the long drive to Katherine in the Northern Territory. On the way to breakfast, Joe and Norma showed us a visitor they had in their room. At breakfast we were all pleased to see Margaret join the tour again after spending 3 days in hospital here in Kununurra. It wasn't far to the border. 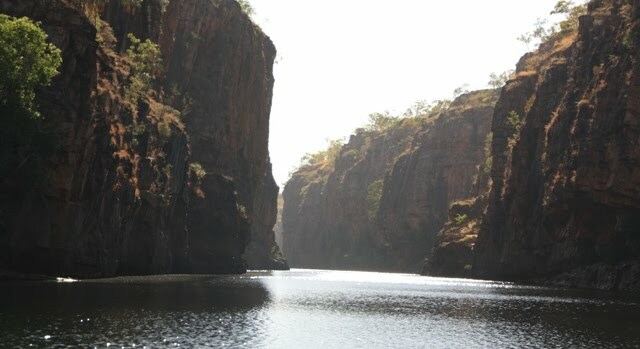 Now we are leaving the Kimberley region and entering the area called "The Top End." 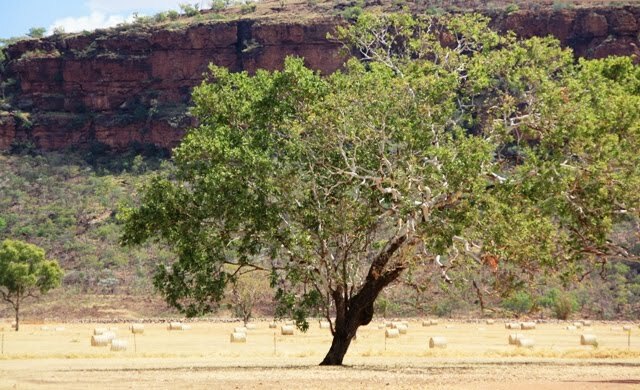 There are only two small townships on the 500km road between Kununurra and Katherine. 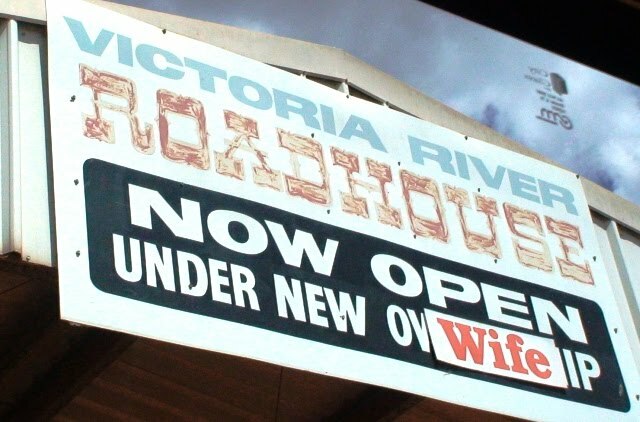 We stopped at this roadhouse for lunch. We had a laugh at the sign. 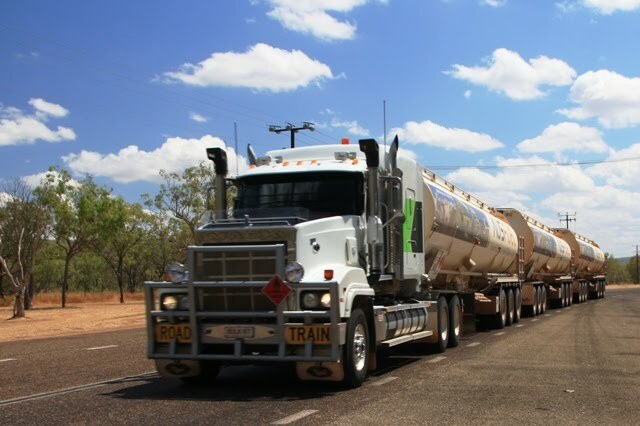 Another 50m road train with its 86 wheels trundled past. We drove on, arriving at Katherine Resort in the afternoon and we plunged in the pool to cool off and relax. 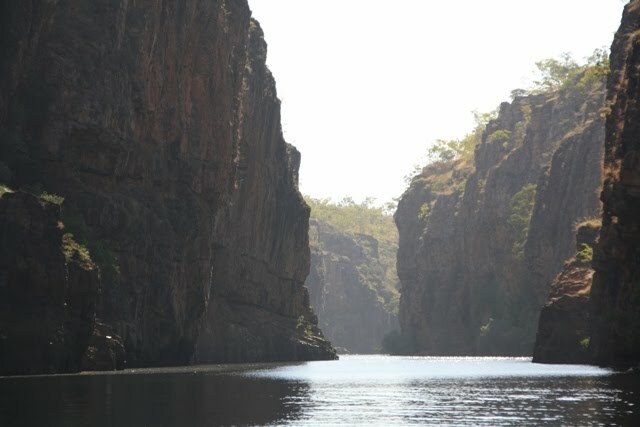 Early the next morning we cruised along the Katherine River Gorge. The sun was shining into the camera all the way. Kayakers were also setting off. I hope the Kayakers see this sign. 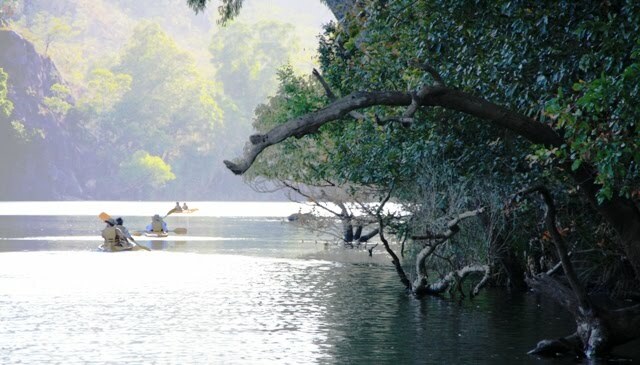 This is the little beach where the crocodiles nest and, the kayakers mustn't rest. 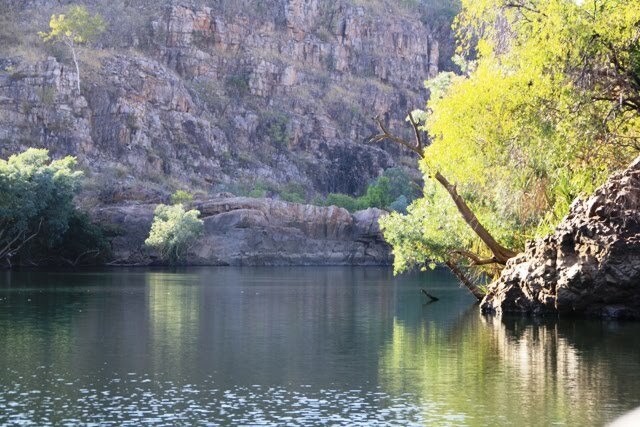 Half way along the trip we have to alight and walk over rocks to the next boat as the river is too shallow here in the dry season. 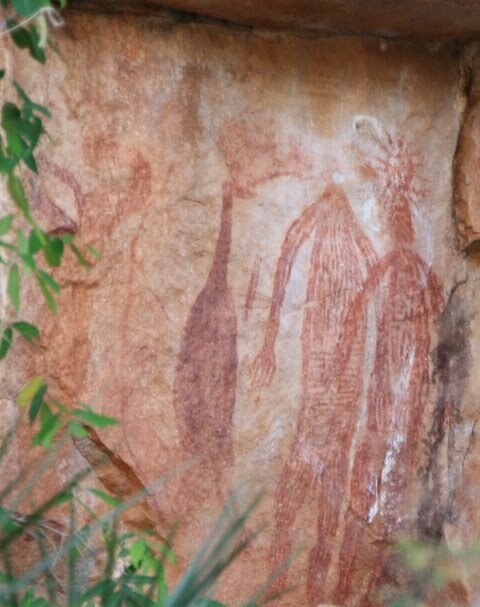 We walked past some Aboriginal paintings, thousands of years old. Walking to the next boat. The walls of the gorge start to get taller and colourful. This part was the prettiest...darn the sun in the lens. Bill and I liked this gorge very much. 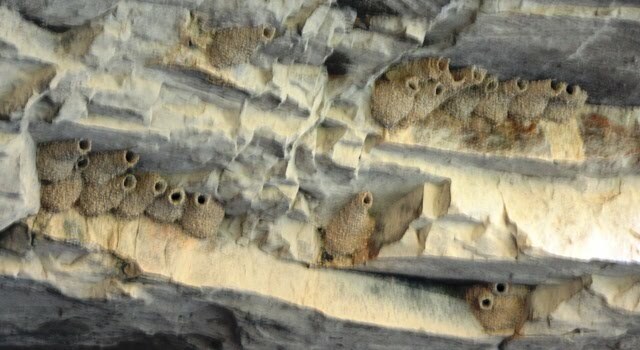 I can't remember which bird makes these nests in the walls of the gorge. Could be Swifts. We pass some kayakers stopping to explore. It must be safe here or they wouldn't be allowed to do this. These kayakers get back safely. You can also check out more dust storm pics there too.